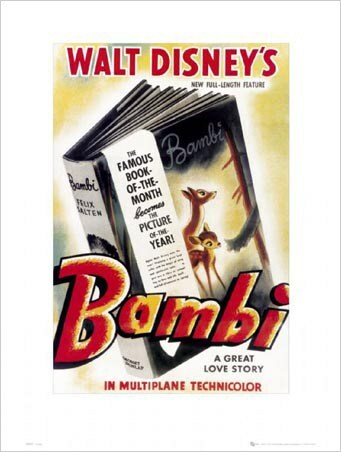 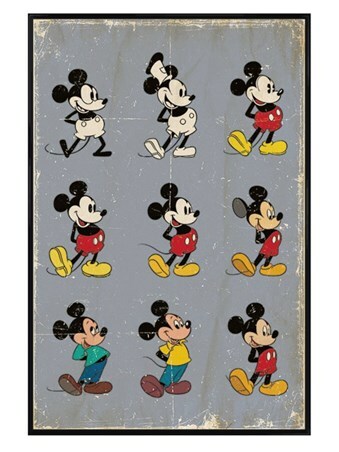 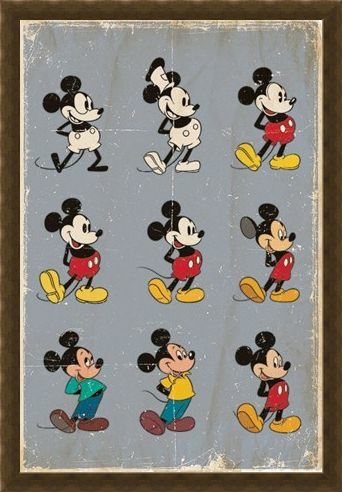 Children's Maxi Poster: Born from the imagination of Walt Disney, Mickey Mouse has enjoyed many years of success since he was first created in 1928. 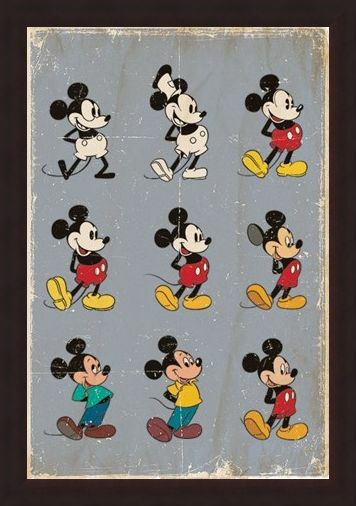 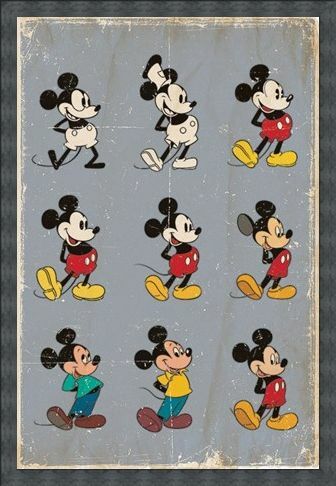 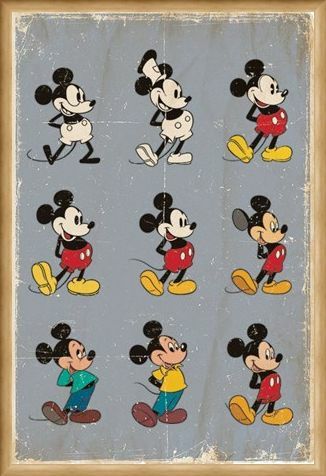 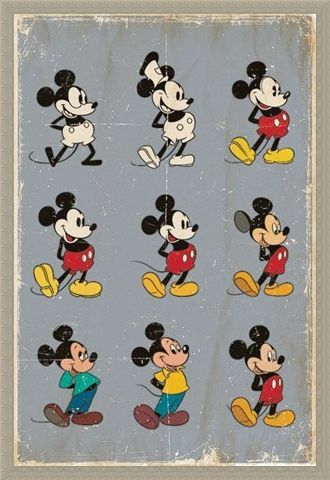 This lovely poster features the evolution of Mickey Mouse from the very first illustrations in 1928 to the present day Mickey that so many people know and love. 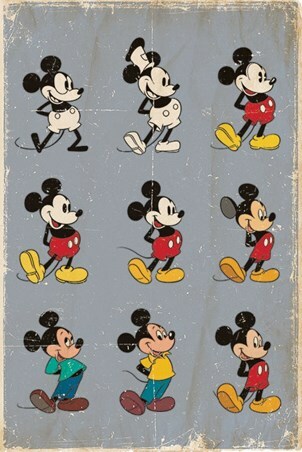 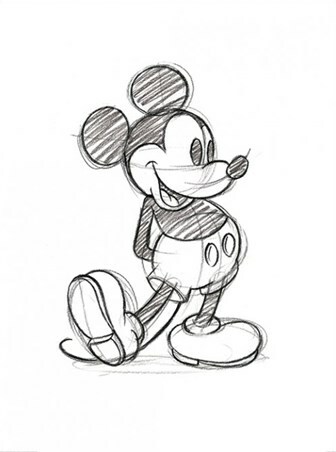 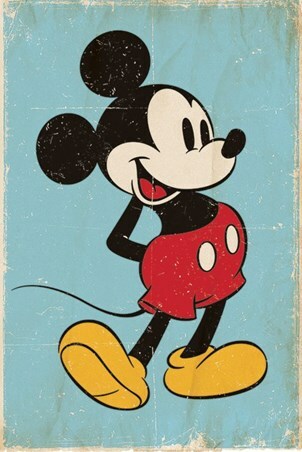 With his trademark red shorts and yellow shoes, Mickey is looking cheekier than ever against a grey vintage style background in this poster documenting his astounding evolution. High quality, framed Mickey Mouse Evolution, Walt Disney poster with a bespoke frame by our custom framing service.